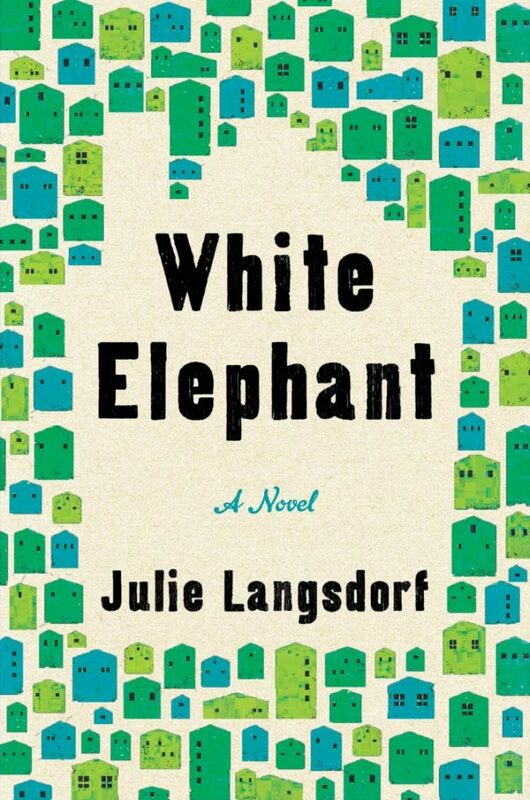 "Something new is going to happen within this novel." "If the end has truly come for the likes of the hoary old patriarchy, then let it happen on Ridker’s watch." 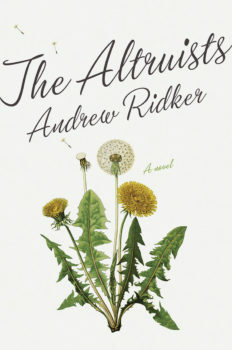 Michael A. Ferro reviews Andrew Ridker's The Altruists, out now from Viking. 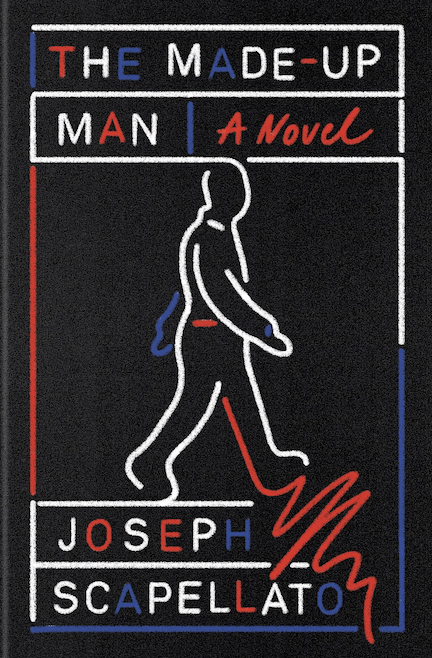 What would happen if we took an unsympathetic, aging male character—comparable to those frequently spotted in the masterworks of, say, Jonathan Franzen—and plopped them into the middle of our current #MeToo era of heightened social awareness and cultural responsibility? 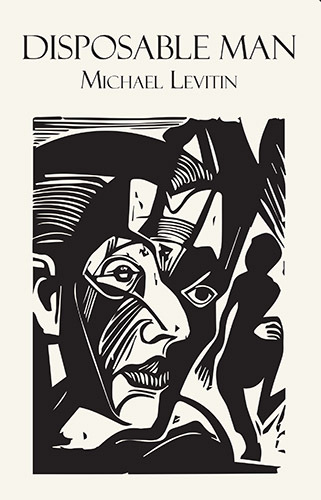 Or, simply put, what would it be like for a selfish, hopelessly misguided male archetype from literary yesteryear to be confronted by a “woke” world? This is the fascinating and deeply compelling vision employed so well in Andrew Ridker’s debut novel, The Altruists (Viking). Yes, this novel ticks all the boxes for a typical debut novel from a promising young male talent: Campus setting? Check. Dysfunctional family? Check. An older male undergoing a midlife crisis? Big-time check. But the key here is Ridker’s keen awareness of this conflict, his attuned approach that immediately assures the reader that they are in capable hands—that something new is going to happen within this novel. Enter Arthur Alter. Arthur is your typical male baby boomer academic: oblivious, self-absorbed, and, in many respects, ruthless. After the death of his wife, Francine, just two years earlier, we get the sense that Arthur has been living a double life of crippling anxiety and projected ease. His children, long since mentally scarred and emotionally broken, have abandoned their St. Louis campus-centered hometown and headed for the Big Apple. And like many millennials, they are lost and confused, both professionally and personally. Ethan, Arthur’s gay 31-year-old son, quit his high-paying job and lives on money bequeathed from his mother, quickly spiraling into debt in New York City’s costly lifestyle. Maggie, Arthur’s slightly younger daughter, is so compromised by her rage toward her father and at the world at large for its ignorance of issues that she deems important, that she remains in a permanent state of arrested development. Both children have a tough time reconciling thoughts of their father, especially once they’d found out he’d been cheating on Francine with a much younger woman as Francine lay on her death bed. Now, Arthur is out of money and about to lose the family home; his only hope is to lure his children back to St. Louis for a deceitful visit under the pretense of “family time” but with a much more devious purpose: to squeeze his kids for their inheritance money to save the house so he can live there with his much younger lover. You see, Francine, having found out before she died about Arthur’s infidelity, quickly cut him out of her will and her private reserve of savings. At thirty-one years old, his twenties officially in rearview, he found himself alone. It was an awful realization and he seemed to make it fresh each morning. Whatever friends he’d had at the consulting firm where he used to work had fled the city for suburbs with better public school districts, or else were only interested in talking shop, the petty squabbles and betrayals in which Ethan was no longer invested. He recalled a time when he’d been invested—in bonuses, colleagues’ weddings, the way his supervisor pissed with his hands on his hips like he was trying to intimidate the urinal. But that era was done, finished. A few months out of the loop and you realized how insubstantial all that was. You could never grieve too long for a woman like her mother. Eagle-eyed but never critical, intelligent without the need to show it, Francine had selflessly sacrificed career advancement for the preservation of her family—for which she’d served as moderator, referee, and peacekeeping body. She was, to Maggie, both a role model and a cautionary tale. A case study in what women were expected to be, and what they had to give up to be it. Arthur, for all his obvious faults and apparent lack of depth, is certainly drawn with the same pen as many of the 20th century’s most pigheaded male leads, but he is also given a compelling backstory by Ridker that helps illustrate this chronic condition endemic among his generation. Watching Arthur struggle (and often fail) in this new world that is quickly changing around him—bending and breaking at various points to the will of a younger, more altruistic generation—makes this novel required reading for these divisive times. 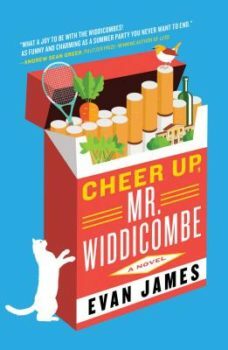 If the end has truly come for the likes of the hoary old patriarchy—if that growing rumble overtaking America really is the unmistakable death rattle—then let it happen on Ridker’s watch, because my assumption is we can expect many more great works of fiction from this extremely talented young novelist.